Through her memorable characters and quirky behavior in sketches on “Saturday Night Live,” Radner played a leading role in shaping the landscape of late night comedy. The original sketch team from the 1970s had legendary comedy star power such as John Belushi, Dan Aykroyd, Jane Curtin, Chevy Chase, Laraine Newman, and Garrett Morris, Gilda Radner managed to leave her mark. Saturday Night Live has changed significantly in the past decades; the opportunities of women to perform as comediennes at par with their male counterparts can be credited to efforts of people like Radner. There is no denying that Radner helped in breaking the glass ceiling for female comedians in America, which was rampant due to sexism and gender stereotypes. 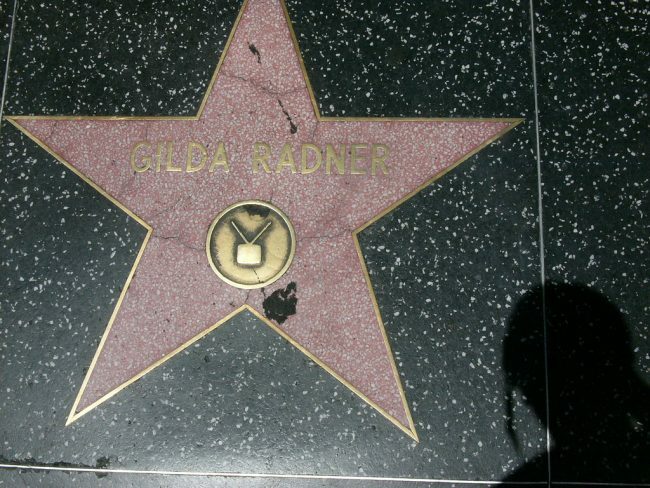 The characters that Gilda introduced on “SNL” became a household name, such as the loud-mouthed reporter Roseanne Roseannadanna, the classic parody of Barbara Walters with her character Baba Wawa, the lovable geek Lisa Loopner, or the elderly woman, Emily Litella, who appeared in the Weekend Update segments. By portraying all these characters, Radner laid the path for future “SNL” cast members such as Tina Fey, Melissa McCarthy, and Amy Poehler. All these women credited Radner for inspiring them and providing them a base for their sketch comedy characters. Radner not only helped in making it acceptable for women to cross the comedy divide, which was controlled by males, but she also became a role model for women that would come after her. The early success of “SNL” helped several actors to get Emmy nominations in its early years, but only Radner was honored with an award for her performances in the ‘variety and music program’ category. She suddenly became the most popular and recognized member of the comedy show. Even comedy legends and “SNL” cast members such as Dana Carvey and Chevy Chase struggled to achieve her level of recognition. Her early success was especially crucial as several of her cast mates strongly felt that women were not funny, and she managed to overcome their apprehension and built a bridge for future comedians. This was a time when most comedians were males and women were not seen as equals. Amy Poehler who joined the SNL cast in 2001, right after the 9/11 attacks, has personally credited Gilda as the inspiration for all the characters she played while working at SNL. Apart from her SNL career, Radner appeared in many films such as “First Family” in 1980, “Hanky Panky” in 1982, “The Woman in Red” in 1984, and “Haunted Honeymoon” in 1986. It was after making “Haunted Honeymoon” with her husband actor Gene Wilder that she learned that she was in stage IV ovarian cancer. She learned of her condition on October 21, 1986. She immediately had a hysterectomy and underwent a grueling schedule of chemotherapy. Throughout it all, she never lost her sense of humor. After the diagnosis, Radner wrote her autobiography, “It’s Always Something,” which detailed her life experiences, cancer struggle, and the care she received during her illness. She wrote it in the hopes of helping others. According to SNL cast members, much of the show’s early success rode on the shoulders of talented performers such as Radner. The years of consistency that she delivered was instrumental and vital in making the show popular as it built a large TV viewership. Her character laid the foundation for SNL and her work still is watched and appreciated by fans on Youtube. Radner was only 42 years old when she died, but the mark she left on the world of comedy and SNL will be remembered. One Response to "Gilda Radner Saturday Night Live’s First Lady of Late Night Comedy"
I can tell that you’re trying to play it safe with your topic, but please understand that the polarized musings can make for awesome debate when approached with respect..and this is your page after all, let your content rule here!